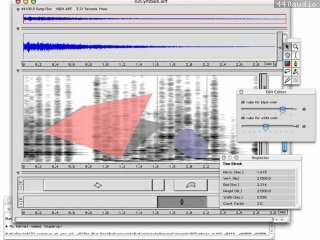 AudioSculpt takes a visual approach to modifying a sound file. 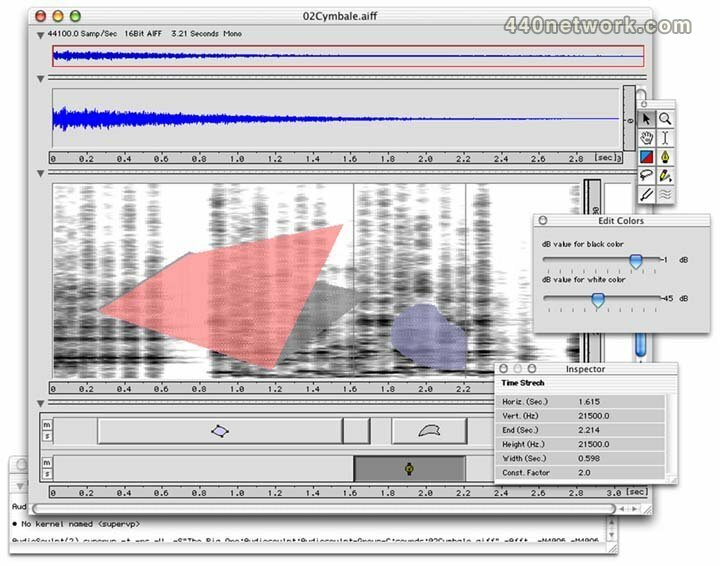 After an analysis phase, the user modifies directly the result of the analysis using only the mouse in order to apply the desired changes to the sound. The main types of sound modification are : filtering, cross synthesis and dilation or compression of time. AudioSculpt is based on a vocoder analysis/synthesis engine called SuperVP (for Super Phase Vocoder )which provides the means for doing transposition, time-scale modification, cross synthesis, analysis modules, etc. AudioSculpt is the intuitive interface that allows access to SuperVP. Des possibilités de synthèse/resynthèse énormes... pour qui arrire a s'en servir.